By public minivan and car ferry it takes 6 hours 30 minutes to travel 218 km from Koh Lanta to Khao Lak. This is a slow journey because passengers have to change minivans and get on and off a ferry in order to complete the journey, and also because traffic moves slowly on the last section of road from Krabi to Khao Lak. The scenery on route though is pleasant and you should relax and enjoy the journey. There are two daily minivan services from Koh Lanta to Khao Lak which you can book online. The first stage of the journey is by minivan to to Koh Lanta Car Ferry Pier. The second stage of the journey is short sea crossing to the mainland. From the pier on the mainland passengers travel to Krabi Town. For the final stage of the journey passenger change vehicles in Krabi for the journey to Khao Lak. The cost of a minivan transfer from your hotel to the pier in Koh Lanta is included in the ticket price. Both services commence with a minivan pick up which will take you from your accommodation in Koh Lanta to the car ferry pier on Koh Lanta’s north island to cross to the mainland to start the road journey to Khao Lak. 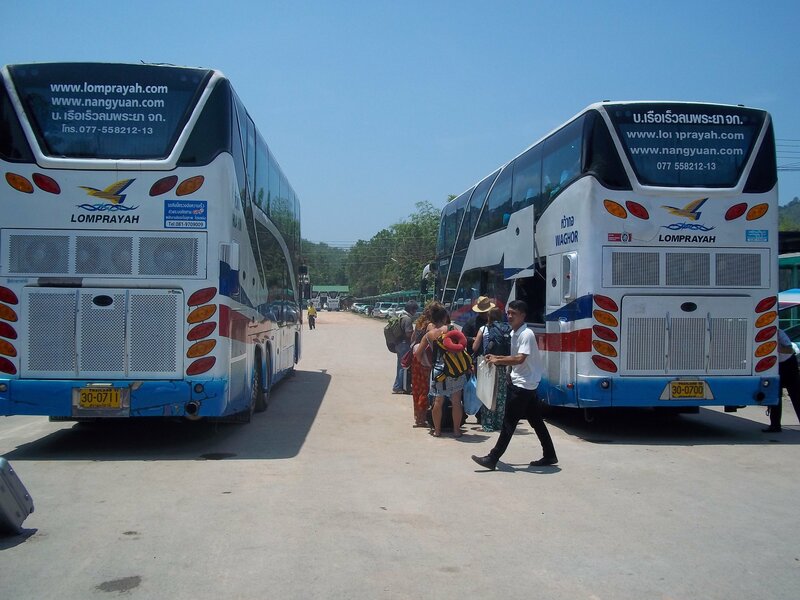 Both bus services from Koh Lanta terminate at Khao Lak Bus Station, Khuekkhak, Takua Pa District, Phang-nga 82190. Khao Lak is one of the quieter beach resort destinations in Thailand, particularly during low season from April to November when it’s rainy season in this part of Thailand. 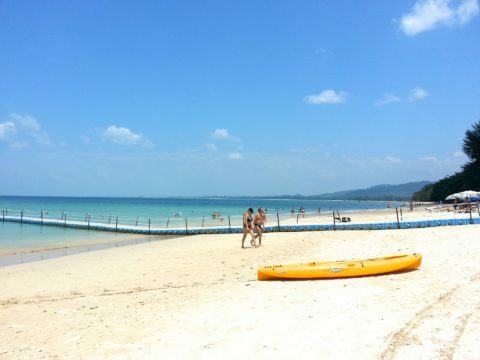 Khao Lak is spread out along a 20 km stretch of coastline, most of which is white sand beach and suitable for swimming. This beach, and to a lesser degree the diving and snorkelling opportunities in Similan Islands, is the reason people come here, rather for busy nightlife or historic temples and palaces. 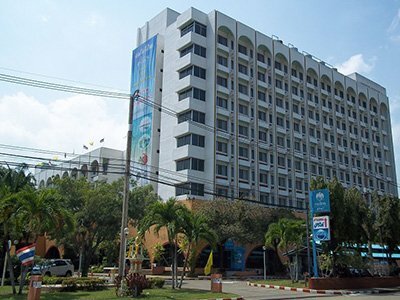 There are three main population centres in Khao Lak, the largest of which is Bang La On, and this is most tourist friendly part of Khao Lak. 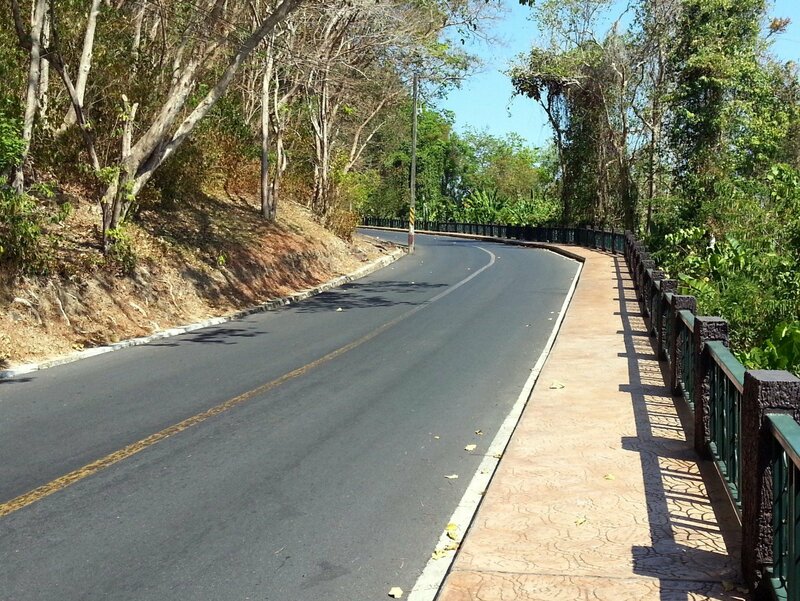 The Bang La On area is about 5 km south of Khao Lak bus station where services from Koh Lanta terminate. You may be able to get the minivan to stop on route as the road passes through Bang La On on the way to the bus station. Travelling around by public transport is not easy in Khao Lak. There are no local bus services and the occasional inexpensive shared taxi operating between destinations on the main road. There are lots of normal taxis and shared taxis which do taxi services, but none use their meters and they charge fairly high prices. If you plan to do a lot of travelling around then the most economic option is to hire a car or a motorbike, although bear in mind that a fairly high percentage of people who rent a motorbike in Thailand end up experiencing some of problem and wished that they hadn’t. Wear a helmet, go slow, stay sober, stay left rather than in the centre of the road and you will massively reduce the chances of your having an accident. For travel to the Similan Islands you can either take an expensive tour, or a live aboard boat if you are a diver, or travel independently to Tab Lamu pier, which is 17.7 km south of Khao Lak bus station. From Tab Lamu pier you can get a ferry or speedboat over to the largest of the 9 Similan Islands, which is called Koh Similan, during high season. The ferry which costs 1,500 THB one way, leaves at 09:00, and takes 4 hours to complete the sea crossing. By speedboat the journey will take only 60 to 80 minutes, but cost you around 2,000 THB. Speed boats to Koh Samilan depart throughout the day as they fill up with customers.